This is a re-write of “A Beginner’s Guide to Claiming Your ‘Bitcoin Cash’ (and Selling It)”. Please note: Everything in this article is just advice based on our best understanding of the current situation. Bitcoin Gold (also referred to as Bgold, and trading under the ticker BTG) launched November 12, 2017. Since the Bitcoin blockchain technically forked on Bitcoin block 491407, anyone who held bitcoin (BTC) on October 24, 2017 should have an equivalent amount of BTG attributed to their Bitcoin private keys. In our beginner’s guide to surviving the Bgold and SegWit2x forks, we explained how to secure your private keys so you could be sure to access your BTG and B2X. The B2X fork has since been suspended by the leaders of that project, however, and it currently seems very unlikely to happen in any serious way. As such, this follow-up article explains how you can claim (and potentially use) your BTG — only your BTG. Good news: Bitcoin Gold enforces strong replay protection. This means you can’t accidentally spend your BTC when you mean to spend BTG or vice versa. As such, if you don’t care about BTG at all right now, you don’t need to do a thing. You can just keep using bitcoin as you always have. If you ever change your mind (and don’t lose your Bitcoin private keys in the meantime), you can still claim your BTG at any point in the future. Likewise, if you want to hold onto your BTG long term, you also don’t need to do anything right now. You can keep using BTC as if nothing happened; just make sure to never lose your private keys. If you followed the advice outlined in our beginner’s guide, the good news is that you should be in full control of your Bitcoin private keys. This means you now hold BTC as well as BTG. The bad news is that it’s not necessarily easy or safe to claim your BTG. If you’re using insecure (or even malicious) software, you may accidentally expose your private keys. And because these are the same private keys that secure your BTC, this exposure could lead to your BTC being stolen. You stand to lose much more from losing your BTC than you stand to gain from selling your BTG. Therefore, you are going to want to take your time and make sure you understand what you are doing well enough to do it without exposing your private keys. Your BTG isn’t going anywhere. In our beginner’s guide to surviving the Bgold (and SegWit2x) forks, we explained how to secure your private keys and recommended different wallet options. Here, you can find, per option, how to access your BTG. Update: It was pointed out to us that the Coinomi wallet is now closed source. This means that you should definitely follow the suggested advice, and first move your BTC to a new address or a whole new wallet with a new seed before inserting your private keys into the Coinomi wallet! The first recommendation in our beginner’s guide to surviving the Bgold (and SegWit2x) forks was to use a paper wallet. This advice was given in the context of storing your coins long term in particular. But if you want to access your BTG, you can, of course, do this right away. However, the point of a paper wallet really is that your private keys are not stored in any device that could be hacked. Therefore, if you’re going to upload your private key into a Bitcoin Gold wallet, you should definitely create a whole new paper wallet with a new private key for your bitcoin (BTC). It’s probably best to then first sweep your private keys with a Bitcoin (BTC) wallet, and then send the coins to this new paper wallet for BTC. Electrum and Coinomi are two wallets that allow you to sweep Bitcoin private keys. Look for the “sweep” option in the menus of these wallets; that’s where you can scan the QR-code displayed on your paper wallet. (Alternatively, you could type in the private key.) Once you’ve done this, send the bitcoins to the new paper wallet. Once your bitcoins are stored safely on the new paper wallet (ideally after at least one confirmation), the old paper wallet still holds the BTG. Now, the same trick must be repeated to access your BTG. Electrum does not support BTG, but Coinomi does. Coinomi also published a blog post explaining exactly how to access your BTG. This includes instructions for paper wallets. Our second recommendation was to use a regular wallet, as listed on bitcoin.org. Our third recommendation was to use a full node wallet, like Bitcoin Core or Bitcoin Knots. These wallets store your private keys in a dedicated folder on your computer. You can make a backup of this folder using the menu in your wallet and select “Backup wallet.” Once you’ve done this, you should be able to import this backup into the Bitcoin Gold full node, Bitcoin Gold Core. We also recommended using a hardware wallet to keep your private keys secure — though we also noted that these wallets don’t necessarily make it easy to access your BTG. Indeed, at the time of writing, no hardware wallet has enabled access to BTG. However, Ledger and Trezor have published blog posts indicating that they will be working on it. If you use either of these wallets, keep an eye out for announcements on their social media or blogs. 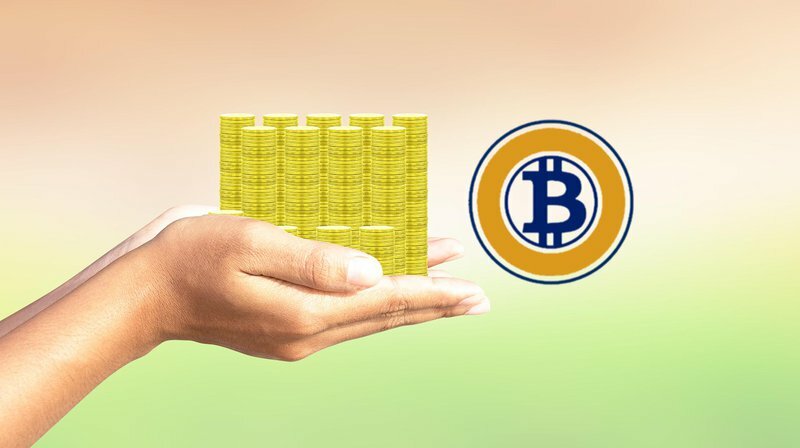 Digital Bitbox and Keep Key have also published blog posts on the Bgold fork, suggesting they might support it; but they don’t support it yet. Keep an eye on their social media and blog to see if that changes. Other (Non-bitcoin.org) Wallets, Exchanges, etc. Once you have claimed your BTG, you can use it however you please. Just like any other altcoin, you could, for example, sell it for BTC or perhaps spend it somewhere if it’s accepted for payment, etc. But there are three more factors to keep in mind before doing so. The first factor is privacy. Your public keys (which are linked to your BTC and BTG addresses) are identical for BTC and BTG. This means that whenever you spend your BTG (for example, to send them to an exchange), you do not only reveal your BTG addresses but also your BTC addresses. This can, in turn, reveal a lot about your current holdings as well as your past and future transactions and can even, by extension, reveal other data about people or entities you transact with. Make sure you are comfortable with giving up this privacy if you are going to send your BTG to an exchange or anywhere else. The second factor is mostly theoretical at this point but worth a quick mention nonetheless: security. By revealing your public key when spending BTG, you strip away one layer of cryptographic security, even for your BTC addresses. This doesn’t mean that your BTC are insecure right now, but there is an increased chance that your BTC won’t be secure at some point in the (far) future when this particular cryptographic standard is weakened. It is, therefore, best to move your BTC to a new address, at least some time within the next couple of years. The third factor was already mentioned but bears repeating: If you’re using insecure software to claim your BTG, your BTC may be at risk. It’s probably best to move your BTC to a new address or even a whole new wallet with a new wallet seed before you even start meddling with BTG — regardless of which wallet you were using. That way, if you do mess up with insecure BTG software, you shouldn’t lose your BTC. 1. You don’t have to do anything if you don’t want to, and there is no rush. If your private keys are secure, your BTG is secure.